The crèche was the subject of a undercover investigation into the standard of preschools. The toddler atttended the crèche while he was aged between one and four. 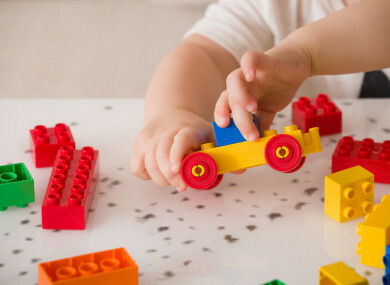 A toddler who was exposed to an aggressive care environment in a crèche that featured on RTE’s Prime Time Breach of Trust programme was today awarded €25,000 damages for abuse and mistreatment. The award was made by Judge Terence O’Sullivan in the Circuit Civil Court. He said that while the settlement offer by The Links Crèche , Abington Woods, Swords Road, Malahide, Co Dublin, may not be top value for the case it would be foolish of the court not to approve it. The judge heard that Max Cottrell attended the crèche while he was aged between one and four and his parents took him away from it after they had seen on the RTÉ programme how children had been exposed to unpredictable and aggressive care practices. Barrister Siun Leonowicz, who appeared with Ciara Redmond of Coleman Legal Partners, told the court that in 2013 the crèche was one of three selected by RTÉ’s Prime Time for an undercover investigation into the standard of care provided by preschool services in the State. Leonowicz said an undercover news reporter who had got a job in the crèche had witnessed staff handling children in an extremely rough and aggressive manner and shouting at them. As a result, the reporter had handed in her notice, complained to management about care of children in the “wobbler” room and made a report to the HSE. The judge heard that two years later the crèche was fined €1,000 on a single charge with seven others taken into account. Max Cottrell, who is now aged eight, sued the crèche through his mother, Jennifer Breslin. The family live at Waterside Crescent, Swords Road, Malahide. Ms Leonowicz said that after Max was withdrawn from the crèche it was found he was rejecting his mother and, following behavioural difficulties, would not take manner correction well. He had attended a child specialist on several occasions for therapy. A number of other cases had been dealt with in the Circuit Civil court and 22 in all settled in High Court proceedings. Recommending the court’s approval of the €25,000 offer, Ms Leonowicz said she was aware of a similar case which had settled for €18,000. Judge O’Sullivan ruled the €25,000 offer. Email “Toddler awarded €25,000 in damages from creche which featured on RTÉ's Prime Time”. Feedback on “Toddler awarded €25,000 in damages from creche which featured on RTÉ's Prime Time”.